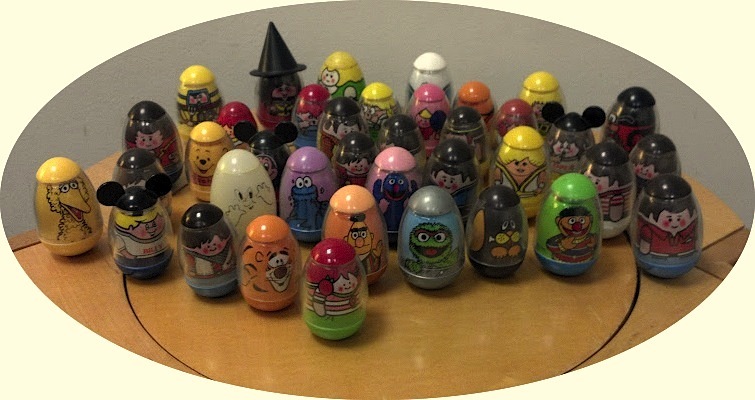 It’s difficult to get so many Weebles together for a group photo, given all the scheduling conflicts. But we finally made it happen, with only a few absentees…Christopher Robin and the circus clown were last seen trying to pick up some Fisher Price little girls and it wasn’t pretty. The rest of my office, which isn’t quite as photogenic. I just love this kind of blog. It makes me totally forget about spider veins on my legs, which I’ve been obsessing about lately. Which is to say, an awesomely thing to do for a girl. Thanks so much my New York friend. I’m happy to help, Lis. If it’s any consolation, this blog distracts me from a lot of unpleasantries too. But try not to obsess too much over the spider veins–I’m sure they’re a much bigger deal to you than they are to anyone else. And spider veins or no, you’re still awesome. Children are the BEST at being brutally honest, you know?? haha!!! Anyway, it’s nice to escape into BlogLand. No one can see my spiders. I have difficulty with Wil Wheaton because I can’t get past the fact that he played Wesley Crusher, one of my least favorite characters in any version of Star Trek ever. 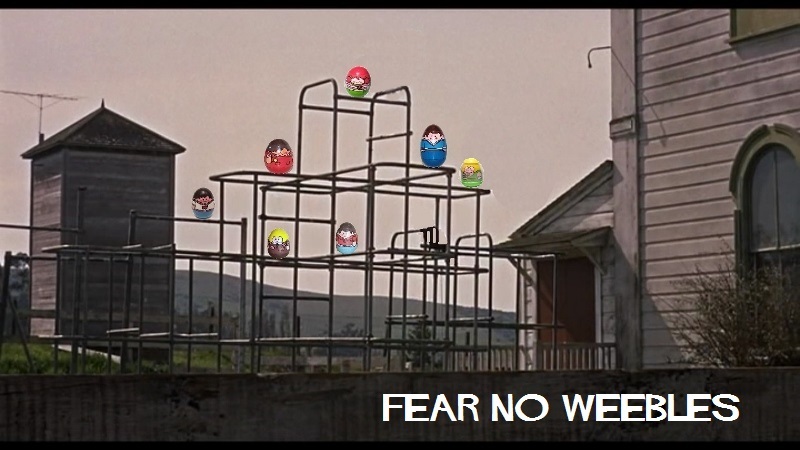 But I do like his cover photo–those Russian dolls are kind of Weeble-ish, definitely. Thanks for sharing that one!! This is really crazy, but I just clicked onto Wil’s site out of curiosity… And his most recent post is all about his Star Trek experience and how he regretted being the dumb kid he was back then and how he didn’t really respect the role, etc. I found it extremely endearing, and thought you would too. A little coincidental, hmmm. I would like to know how I can obtain a automatic photo in a wee led article called, “Spending an Afternoon in April 1936”. I’d like to obtain a reprint for someone’s kitchen (enlarged and framed). You have my email address; please tell me how to go about it. Thank you. I would like to know how I can obtain a automat photo in a weeble article called, “Spending an Afternoon in April 1936”. I’d like to obtain a reprint for someone’s kitchen (enlarged and framed).